With so many data centre companies located in the Slough area, we are ideally placed to provide the complete range of out-sourced data centre support services. We can help you at every stage of your data centre server installation. Our experienced data centre professionals, will talk you through the process, helping you plan the best server hardware to suit your requirements. We will order and take delivery of the rack server hardware, rack rails, hard drives, memory etc.at our local offices. The data center servers will be built to your bespoke design in our workshop and the required software installed and tested. After the servers have been tested in our local test rig, we will deliver them onsite to the data centre. 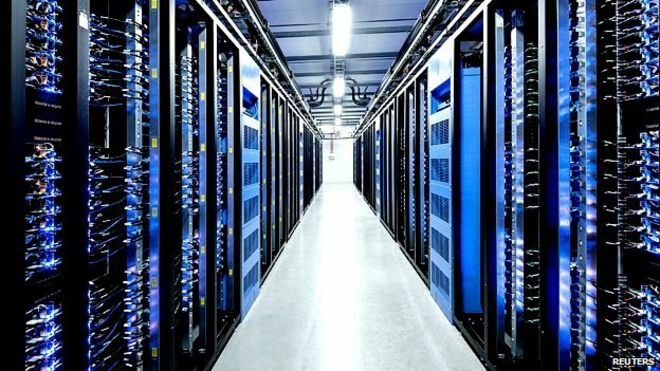 Our professional data centre engineers will install the servers in the data centre racks and connect them to the network. Our technicians are on hand to fully test the data centre server installation and hand it over to you ready to use. Our data centre management team are always on hand to to provide any further data centre support. A maintenance support contract to provide a data centre solution for software upgrades or equipment emhancements. We can help with all outsourced data centre solutions, give us a ring on 01753 462025, and talk to one of our experts. Slough data centres provide colocation security with other data centres world-wide. We can help you build and install your colocation data centre rack server. Our service is both secure and reliable. It is also a very cost-effective and efficient service. We are always happy to share our expertise, and can train your engineers to support the data centre servers. We also take on training for all aspects of data centre support, so your staff can take-over the data centre projects, seamlessly. From time to time a massive upgrade is required. Then it is time for our Project managed data centre migration service. Whether you are migrating within the same data centre or need to relocate to a different data centre, our capable staff can project manage the whole event, leaving you with a minimum, if any, down time.